Can High FSH Levels Cause Infertility? First of all, we are going to talk about some FSH facts. 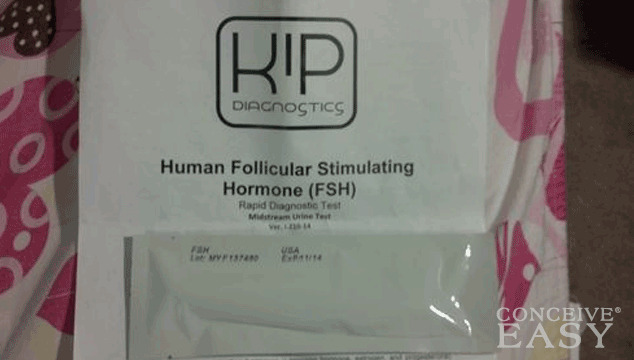 The first fact is that FSH is extremely vital to all fertility processes. Without FSH, the follicles will not be stimulated enough to produce eggs, and a woman will not ovulate. Another fact? High FSH levels can indicate that a woman’s egg supply is very low. For this reason, women with high FSH levels are not usually considered for fertility treatments, because with a low egg reserve, no number of fertility treatments is likely to be successful, even IVF. It is also a fact that the medical community is divided on whether or not FSH levels can be lowered. While Western medicine hasn’t been able to come up with a real clear cut way to lower FSH levels, ancient Chinese medicine has always claimed to be able to lower FSH by using herbs, acupuncture and other alternative treatments. There are also quite a few myths out there when it comes to FSH levels. One of the most common myths is that high FSH is a good thing. We are programmed to think that high numbers must be better than low numbers, but that is not the case with FSH levels. With FSH, when you are running low on eggs in your ovarian reserve, your body will work harder and harder to push out more FSH in order to try it’s hardest to produce a mature follicle. Therefore, high FSH means that something is wrong inside your body, causing it to work harder than usual. Another FSH myth? High FSH levels automatically equal menopause. That is not true at all. There are a number of other health conditions that can cause a woman to have high FSH levels, including premature ovarian failure or premature menopause. As you can see, there are several different things to know about FSH levels. Just because your FSH levels might be high, that doesn’t mean that you are never going to get pregnant. There are many different options out there for women who have high FSH levels. If you need more information about FSH levels, contact your doctor or health care professional.